Do you want to understand what it takes to get your website a #1 ranking? Search Engine Optimization or more commonly known as SEO. The honest answer is I do not know. Think back to when you learned to ride a bike. If you were like me you probably started with training wheels. I remember the day when those were removed and once I learned to keep my balance, pedal, turn, stop, riding a bike seemed so easy and simple to do. The same can be said for SEO, if you do not understand the fundamentals it can be as scary as riding a bike without training wheels. Today we will discuss 7 top fundamentals for website SEO. These fundamentals are timeless and used by SEO experts. Making it easy for searcher to find your site may be the most important aspect of any website. “If you build it and they will come” may work in the movies but online it takes much more than a field of dreams to drive traffic to your site. Search engines have become so embedded in online life that the term google it is synonymous with search. The keywords and keyword phrases have become the road maps that make it possible for potential visitors to locate your website. In other words you need to get into the heads of your target audience to help determine how they search for your services, products or information you offer. Establishing a strong list of keywords or phrases is easily the first step in the process search engine optimization strategy. The keywords and phrase act as the connection to your audience. Keywords are the building blocks that build a solid foundation far SEO strategy moving forward in all other aspects of optimization, so take the time to make the best it can be. These alone make mobile optimization crucial for your website, its about helping you connect to your visitors at the right time and deliver to them the very best experience. Mobile does not necessarily mean on-the-go, in this case relating to mobile phones, handheld computers, and similar technology. Many studies show people grab their nearest device to quickly search for a product or to find out more about something quickly. According to research by Google, smartphone users have a higher buyer intent than desktop users. Without some mobile optimization, your site may be suppressed to low search results. In addition, it’s worth optimizing your site for speed as well, the faster pages load, the better overall user experience, thus Google will rank your pages higher as a result. Once you have initiated researching keywords your list will grow quickly. Ever heard the phrase: “Content is king”, this could not ring truer when it comes to ranking your website for SEO. Each page of your website should contain high quality, unique, unduplicated content for your target audience to bolster the impact on search engine rank and SEO. Try to publish content on a regular schedule with a high word count (500-1,000 words), focusing on your keyword or keyword phrase and include internal links, this will help with organic website page rank. This activity shows the search engines your site has activity adding to its ranking. Not only is content great for SEO, it’s also a effective way to drive traffic to a website and keep visitors engaged on the site. For example, imagine a homepage, an about page, maybe a services page and contact page, all static content will show much higher bounce rates, lower page views with little to no engagement. Now visualize a website with an active blog packed full of engaging content leaves an impression on the user and encourages them to interact with the site and visit multiple pages. Links are the way website pages connect to other pages, internal links are the ones that connect pages on the same website and external links connect to pages on another website. Why are links important? Search engine algorithms are always updated and are very complex in how they rank pages and links are an important factor in keyword ranking. They signal to search engine the quality and relevance of their pages. The more quality links leading to your pages, the higher they can be ranked. A powerful SEO approach is internal linking, this technique is popular with content marketing. 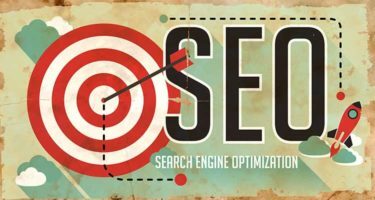 It may also be one of the simplest and easy ways to have quick impact on your SEO ranking as well as being a strategy to implement on a steady ongoing plan. Internal linking is something anyone can do. It is not difficult nor overwhelming and you will gain a strong link profile and superior SEO page rank in a short amount of time. Create intelligent & compelling page title to help to boost clicks when your title shows up in SERPs. Each page title needs to be unique and different from all other page titles the website.Use the primary keyword or keyword phrase at the beginning of the page title. For example, this page’s title tag: Top 7 SEO Fundamentals Important For Your Website – Coplan Consulting. Length can also be important, page title tags are best in the range of 50-60 characters, this includes spaces. If you go over this amount the search engines will replace the title with their interpretation and the results may not be what works best. After the page title tag the meta description tag and some of the HTML tags should be the focus of any solid foundation of SEO strategy. The meat description is located between the <header> tags of the web page. There is only one per page and it contains the description of the page. Crafting the meat description so it describes your page content in an intriguing manner will help to increase click through rate from SERPs. you should have synergy between the title tag and the meta description so that search engines can easily recognize what page content is all about. Heading tags, H1, H2, H3, H4, H5 and H6 are labeled in order of importance and an instance where search engines and humans think alike. Depending on the technology used to build your website, this HTML tag may or may not be familiar. If its a WordPress, the page editor gives you complete control to utilize these tags. The image alt tag is very important and one HTML tag that can be over looked. Crafting a keyword rich description not only helps users with screen readers but is also indexed by search engines providing another avenue for potential visitors to find your site. Anchor text is another basic tool for SEO ranking, the words in the anchor text are very important thing that search engines recognize and the word used should be natural and readable. Social media channel provide even more ways to point more traffic towards the website. By using social media channels to raise brand awareness and recognition it will at the same time increase SEO authority. When content is discovered on social media, there is a chance it will be shared. Not only will this boost the number of inbound links to a site, improving credibility, but it can express popularity of content. This can improve your search engine rankings. The world of social media is always evolving, growing and changing with new trends, strategies and platforms to engage. One does not need to drive themselves crazy trying to keep up, but choose a strategy and stick with it and do not be afraid to experiment with the approach in order to find what works best. This might seem like the most obvious step to do, but you might be surprised how often this can go overlooked. This is especially important with the launch of a brand new domain name, be sure to submit the domain to all major search engines. Each service provides a page for submitting URLs, and its free of charge. Do not waste valuable time submitting to smaller search engines, once you are index by the 3 majors, they will find you.